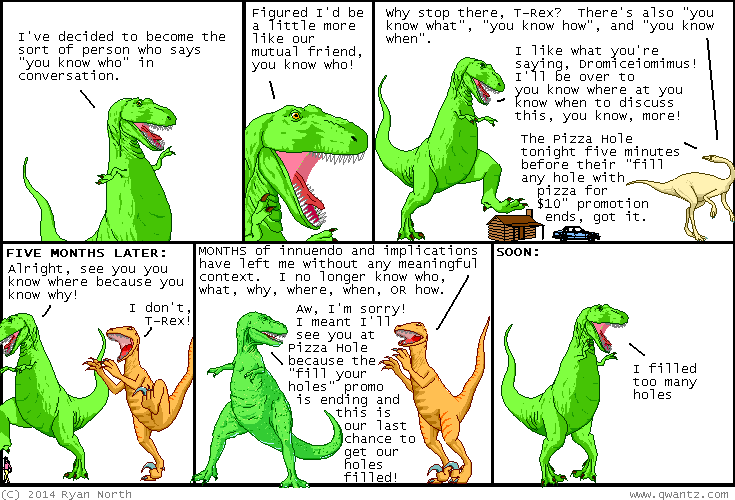 Dinosaur Comics - November 12th, 2014 - awesome fun times! –Who can keep up, I might ask? ?